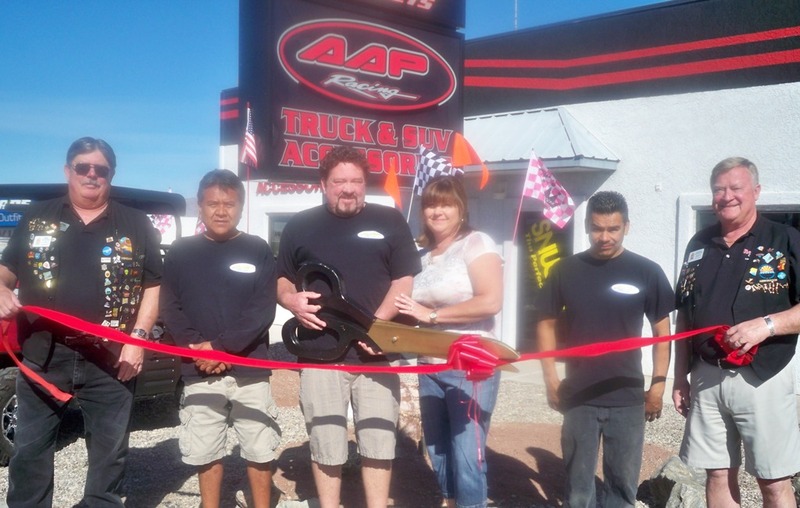 Arizona Accessories Plus (AAP) offers a full line of truck and car accessories as well as window tinting. Also on available is a great selection of fiberglass shells, lids and tonneau covers. AAP is located at 1673 Industrial Blvd. The Lake Havasu Area Chamber Ambassadors held a ribbon cutting ceremony, those pictured are: Mike Schuler, Willie Benally, Tim Foutz, Shonda Foutz, Juan Agosto, and Marshall Ronningen. For more information contact AAP at 680-0888.